LIFE FACTOR is cognisant of the fact that dressing well gives a good first impression, but looking youthful draws instinctive interests beyond the first meet. In this information age where looking youthful is a substantial part of career-longevity and success, surgically modified beauty is fast becoming a norm especially for those who can afford such treatment. However, plastic surgery undoubtedly comes with high financial costs and health risks. Thus, LIFE FACTOR’S COLLASTIN®PLUS simultaneously cleanses the liver and retains the natural youthful beauty without post-surgery pain and pricy maintenance expenses. Crowned the best whitening collagen in 2016, LIFE FACTOR’S COLLASTIN® PLUS improved formula is now even more potent. Made from 4 prominent and distinctive blends of nutricosmetics, COLLASTIN® PLUS visibly eliminates common signs of ageing and rapidly returns the skin to the prime of its youth. Skin Activating Concentrate is a signature blend of patented rose placenta & rose petal extract (# JP3818483). Found at the heart of young plants, Rose Placenta promotes Epidermal Growth Factor (EGF) synthesis, increases cells' turnover and stimulates fibroblast cells for collagen growth. 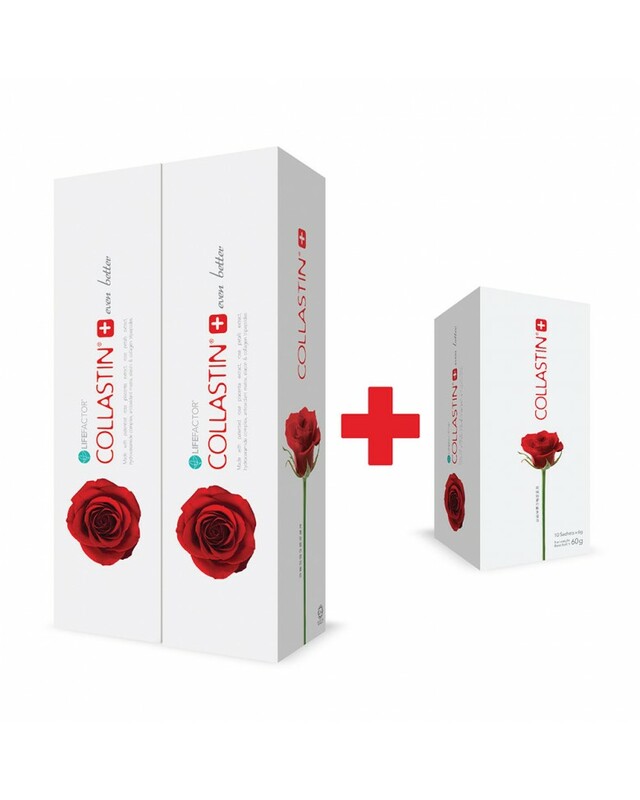 When Rose Placenta is synergized with rose petal extract, this wholesome rose concentrate demonstrates a powerful tyrosinase inhibition (for brighter skin integrity) by controlling the overproduction of melanin, hyperpigmentation, dark spots and restraining the skin from further tanning. Hydroceramide Complex is a synergistic result of phytoceramide and hyaluronic acid extracted from Tremella and glutahthione-producing yeast. It re-moisturizes the skin while adding a first layer of defence against the effects of dehydration. Made from French red grapes, torula yeast and a variety blend of natural berries, this powerful Whitening Antioxidant active reduced form Matrix delivers L- glutathione in its, with proven absorption rate up to 90% (P<0.01) from 60 to 120 min after supplementation (KOHJIN Lifesciences, Ltd, et al, 2014). It also delivers high levels of polyphenols especially OPC which neutralizes free radicals, protects collagen fibers from free radical and UV damage, expedites sunburn recovery, and aids in liver detoxification. Comprised of hydrolyzed collagen peptides, elastin peptides and collagen tripeptides, the youth-enhancing potency of these three peptides leads to significant firming and moisturizing of the skin. Harvested from the North Atlantic cod fish, the bioactive marine complex is easily absorbed due to its low molecular structure.